The Glass Ocean is a story of becoming. Flamehaired, six-foot-two in stocking feet, newly orphaned Carlotta Dell’oro recounts the lives of her parents—solitary glassmaker Leopoldo Dell’oro and beautiful, unreachable Clotilde Girard—and discovers in their loves and losses, their omissions and obsessions, the circumstances of her abandonment and the weight of her inheritance. With a master artisan’s patience and exquisite craft, debut novelist Lori Baker has created a gemlike Victorian world, a place where mistakes of the past reappear in the future, art can destroy, and family is not to be trusted. Leopoldo and Clotilde meet in 1841 aboard the Narcissus, on an expedition led by Clotilde’s magnanimous, adventuring father. It’s Leopoldo’s task to document the animals of the high sea, and by his skilled hand the drawings become the only record of these secretive creatures’ existence. But what possesses his mind is golden Clotilde, and soon his papers fill with images of her, beginning a devotion that will prove inescapable. Clotilde meanwhile sees only her dear papa, but when he goes missing she is pushed to Leopoldo, returning with him to the craggy English shores of Whitby, the place to which Leopoldo vowed he would never return. There they form an uneasy coexistence, lost to each other. Clotilde asks only for her papa, and Leopoldo turns to town, where he finds himself in the employ of a local glassblower. There, he begins to conceive his newest project: transforming his sketches into glass, blowing life and light into the darkest creatures. But in finding his art he surrenders Clotilde, and the distance between the two is only confirmed by the birth of baby Carlotta. Years have passed and Carlotta is now grown. A friend from the past comes to Whitby and with his arrival sets in motion the Dell’oros’ inevitable disintegration. Soon Carlotta is left alone to determine the course of her future, though perhaps it is written already. 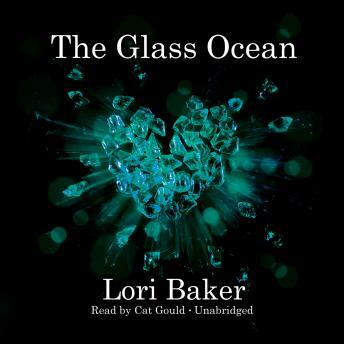 In hypnotic, inimitable prose Lori Baker’s The Glass Ocean transforms a story of family into something as otherworldly and mesmerizing as life beneath the sea itself.